Added on January 14, 2015 by Aric Johnson. If your New Year's resolution is to be more organized, then you've come to the right place. Even if it's not, it’s safe to say we all could be a little bit more organized at times. From work to personal matters, it’s easy for things to get chaotic quickly. That’s why I’ve created this list to help you get off on the right foot this new year. Let the organization transformation begin! Managing all of your finances and budgeting your expenses can be a bit of a daunting task. The good news is with Mint, it doesn't have to be. Whether you want insight into your cash flow, investments, bills, or just create a budget that works for you, Mint gives you a comprehensive view of it all. You can even customize alerts, so you can stay up-to-date on what’s happening with your money. Let’s face it. We all have trouble remembering our passwords for each of the different apps we use online. I know I’ve clicked the “Forgot Password” link more than enough times. To spare yourself from writing down all of your passwords, KeePass allows you to manage them all in a secure way. Your usernames and passwords are safely stored in an encrypted database and can only be decrypted with one master password or key-disk. Now, you only have to remember one password or just insert the key-disk in your computer. Hurray! If you’re anything like me, you have a hard time remembering each task unless you write it all down somewhere in some type of organized fashion. That’s why I like Trello. Whether you have an immediate set of items to check off, or have ones that need to be completed before the end of the week, Trello helps you stay on top of it all. Also, if you like to create lists, categories, color code, and set due dates for each of your tasks, Trello is the app for you! It’s easy to get your news fix with so many different sites out there, but who has the time to scroll through each one? For world news, you might go to CNN, but for technology news, you might go to TechCrunch. Flipboard simplifies this process by bringing all of the news you care about to one place. Just pick the topics you’re interested in and related articles in that category are instantly brought to your fingertips. From world politics to fine dining, Flipboard is the perfect app for you to discover new things and share them with others. We all have a lot of data out there and the problem is that it’s scattered everywhere. With photos on Facebook and Instagram, music on Dropbox, personal documents on Google Drive, work files on Box, Salesforce, and company file servers, we’ve created this digital chaos for ourselves. 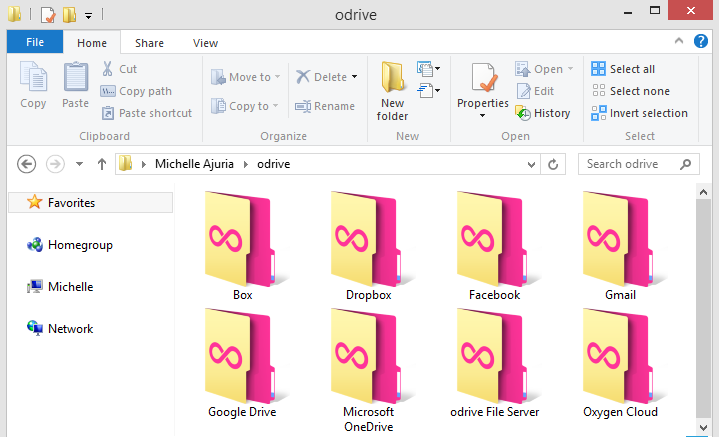 odrive aims to solve this by bringing all of your files from different apps and storage together in a folder. Instead of offering another form of cloud storage, odrive simply provides you a better way to access all of your stuff. So there you have it. 5 free apps to help you get everything in order this year. If you happen find other apps that work well for you along the way, feel free to tweet me about them. Here’s to an awesome and less chaotic 2015!